ENDA KENNY HAS insisted that the government will not renege on its promise to provide water services to children for free. Speaking during Leaders’ Questions today, the Taoiseach said he could also confirm the average household charge will not exceed €240 per year. Deputy Peadar Tóibín pushed the Fine Gael leader for more details following Irish Water’s failure to publish the charges during yesterday’s “farcical” Oireachtas committee hearing. He criticised the government for allowing the process to be “shrouded in secrecy”. The Sinn Féin TD added that this denial of information has led to a widespread belief that the charges would creep higher than what was originally suggested. However, he did seem to indicate that the mooted 38,000 allowance for children may be cut. He explained that this generation of children are more savvy at conservation techniques – because of the Green Flag initiative in schools – and may not require the same amount as previous studies suggested. He concluded that the government’s policy decision on free water for children “will not change”. Toibín also used the opportunity to reference Minister Ruairí Quinn’s resignation today, implying that the timing of the statement was an intentional slight of the Taoiseach. I think it is an interesting insight into the state of disarray in the Labour party when Ruairí Quinn resigns two days before a leadership battle. And also that he gives his resignation speech at the same time as Leaders’ Questions… a snub to the Taoiseach. Kenny was also called upon by Micheál Martin to confirm a number of details about the collection of the property tax for this year. He said that government decided and agreed that local authorities should retain 80% of the money collected in 2014. He also reminded Fianna Fáil that its representatives in council could look to reduce the charge by 15%. “Councils have been starved and were shafted by government last year,” Martin claimed, asking for “some honesty” from the coalition. Kenny said it is possible for a number of authorities to reduce the charge because of the volume and value of properties in their area. The Taoiseach also insisted there is “no big division” between Fine Gael and Labour on the issue, urging the Fianna Fáil leader to not believe everything he reads in newspapers. Email “Taoiseach insists water for children will be free”. 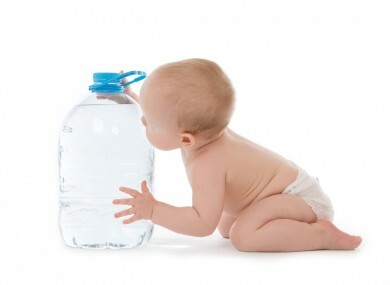 Feedback on “Taoiseach insists water for children will be free”.